We expanded the scope and increased drill-down in some areas for this survey of risk function practices. The CCRO is host to many on-going discussions about the current state of our industry’s risk management practices. Our discussions address organizations, analytic methods, internal policies, compliance processes, and IT systems. We know that an independent and unbiased peer survey of internal practices is an invaluable reference for benchmarking. In this vein, thirty-one companies completed our latest survey of current practices. The detailed results & discussion report is now under review by CCRO members before final publication later this year. Our 2017 survey and its results have several distinct advantages. 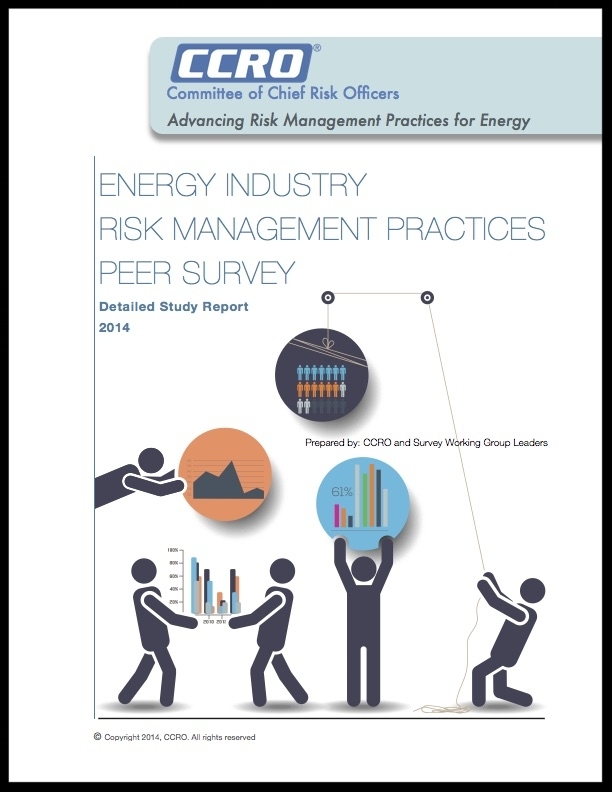 Our survey is sharply focused on energy risk management, particularly, energy commodity organizations. This “energy industry only” focus allows much more relevant conclusions than possible with typical best practice recommendations that aggregate energy, with financial services and other industries. The survey content was developed by Chief Risk Officers and other risk management professionals in the CCRO membership. This “practitioner design” ensures that the issues are those for which our industry most needs information in order to make operations more efficient and risk practices more effective. The common practice findings were controlled so that each responding entity is a single aggregate response, so as to limit duplicative answers from varied perspectives within a single organization. Thus avoiding a problem commonly found in broader public surveys. The CCRO plans to host several open workshops based on this survey’s results. Workshop participants will have an opportunity to discuss their perspectives and experience regarding each survey topic area while learning about the current state of the industry and CCRO recommended practices. Get Involved with The CCRO Today. Become a CCRO member and join our discussions of results. Benchmarking your company against the survey results is an extremely effective way to uncover gaps and to support moving forward with internal practice changes. Our first survey and its detailed results and analysis report were published in 2014. This sixty-page report, rich with charts and insights, is available in a professional print-published format at cost for members and to non-members for a fee. Please contact us for the details of having the 2014 report sent to you.